Boston continues to gain ground as one of the hottest places to own property. Homes in Boston have appreciated in value way above the national average in the last year. The median home price for the Boston area real estate has an astonishing $378,500 compared to the national average of $215,767. While very appealing to Boston investors and homeowners, even better is places like Beantown where home appreciation rates remain some of the best in the nation. This trend seems very promising for the year to come. The Boston luxury real estate market have seen mild gains in home appreciation within the last year. The appeal for home buyers and Boston real estate is found in equity gains which have exploded in the last couple of years. 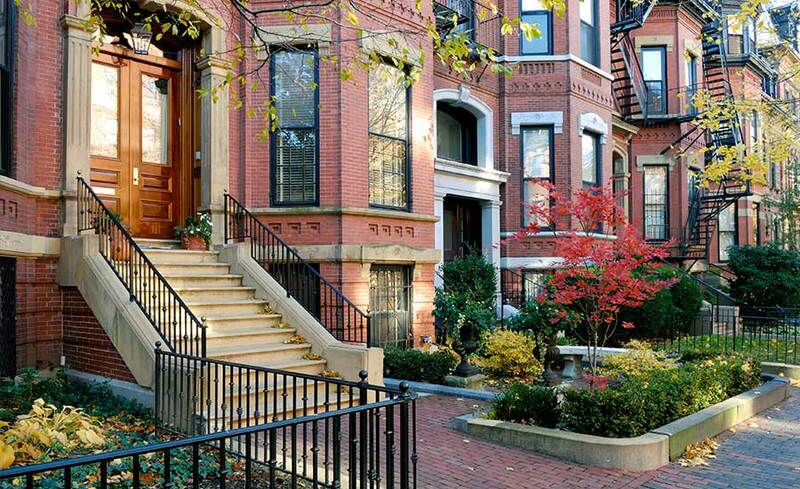 Homes purchased in Boston’s housing market a year ago have appreciated an average of $10,187. While the national average was $15,781 over the same year. Over the past three years Boston real estate began to overthrow the national average which saw gains of $64,281. For homeowners and Boston investors they get the real advantage around year seven of home ownership when total equity gains reach their full potential. Over all price appreciation and principal payments have boosted total equity growth since the recession. As of June 2017 there were 779 properties in the Boston area in some type of foreclosure. According to Realtytrac the number of Boston foreclosures in the month of June was 9 percent lower than the month of May and 8 percent lower than the same time in 2015. In addition the number of REO properties decreased 37.5 percent from the previous month while decreasing 50 percent from the same time last year. If busy city living, great food, and great sports teams interest you, Boston, MA is the place to call home. If you’re willing to make some crazy offers in this competitive market you have found the right place. One of Boston’s most unique aspects is its appeal to people from around the world. It’s colleges and universities attract eager minds who come to be the future doctors, lawyers, robotic engineers, musicians and performing artists all who bring an unmatched vibrancy to Boston’s streets. Boston is primarily a young area, with a quarter of the population being between the ages of 18 and 34. Boston is considered as one of the most liberal regions in the country in one of the most liberal states in the United States. Boston has a rich culture with a strong emphasis on academic prowess and community mindedness making it conducive to raising families and it is common to see families enjoying an afternoon at the Boston Children’s Museum, feeding the ducks in Boston Public Garden or spending a Saturday shopping along Newbury Street. Boston’s founders’ could not have foreseen what the city would look like today and the street layout can make navigating the metro area by car a bit tricky. Unlike New York City, where streets are aligned in a grid-like pattern, Boston’s streets at times seem to have no logic. This could be why Boston drivers have a reputation of being some of the most aggressive drivers on the road. A popular alternative to the road madness is the public transit system known as the Massachusetts Bay Transportation Authority (MBTA). MBTA provides railway, bus, subway (known as the “T”) and ferry services. Boston’s Commuter Rail has 14 different lines that connect Boston to it’s surrounding suburbs, including Wakefield, Brookline and Dedham. As an added bonus, Boston is known as one of the most walkable regions in the country with a high rate of commuters who make their way to work by walking. Boston’s size and location make it an easily accessible for the East Coast for both residents and visitors. Logan International Airport has a high volume of daily flights, while Amtrak, Greyhound and other ground transportation services also serve several points throughout the area. Boston can often feel like a small town but has all the perks of big city life. The metro area is home to a diverse culinary scene, access to the arts and world-class educational institutions, employers and a great health care system. Boston is full of history, but it is also ever evolving and while it is on the cutting edge of medicine and technology, it still remains traditional like spending a summer night cheering for the hometown heroes at Fenway Park. It is a region of sports enthusiasts, art eclectics and ambitious entrepreneurs coexisting with a strong sense of camaraderie and pride in community. Sometime referred to as the “Cradle of Liberty,” the city is home to some of the most significant social, cultural and political moments in U.S. history. Living in the area can make you feel as if you are acting out the pages of a history book, while experiencing the perks of a modern metro area. Boston’s unwavering spirit was born out of revolution and since its inception, the continuous pursuit of innovation and progress has been in its DNA. From the Old North Church to the Institute of Contemporary Art and everything in between, Boston is steeped in culture and rich in pride. For new families, recent college graduates, retirees or seasoned professionals, Boston is a place that can foster your next stage of life, whatever that may be.